Passwords are the bane of 21st century life. But Bionym, a Toronto-based tech start-up founded by Foteini Agrafioti (ElecE MASc 0T9 PhD 1T1) and Karl Martin (ElecE BASc 0T1 MASc 0T3 PhD 1T0), promises to change that. The company develops biometric software. Its latest project may change the way we secure our digital information in the near-future. “HeartID is currently the only commercially available biometric authentication solution that uses the cardiac signal,” says Agrafioti. Bionym cofounder Foteini Agrafioti (ElecE MASc 0T8 PhD 1T1). Photo courtesy Foteini Agrafioti. 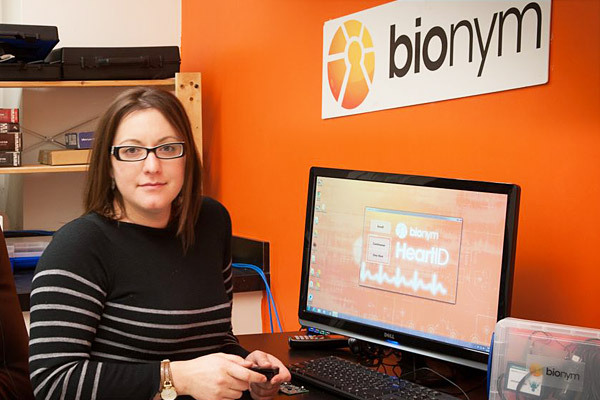 Bionym’s HeartID software detects and distinguishes a person’s unique heartbeat (cardiac signal) through sensors. The technology can be used to secure various devices with an accuracy greater than 99 per cent, roughly the same as current fingerprint-enabled security systems. But while fingerprints require an intentional swipe, and facial and iris recognition software requires careful positioning of a person’s face in front of a camera, a heartbeat is much more foolproof and convenient. 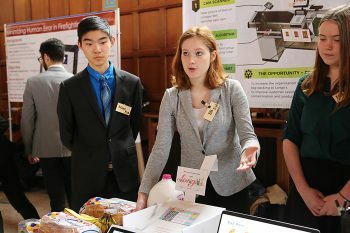 Bionym is located in the U of T’s recently launched Banting and Best Centre for Innovation and Entrepreneurship, which supports entrepreneurs turning lab research discoveries into products and companies. 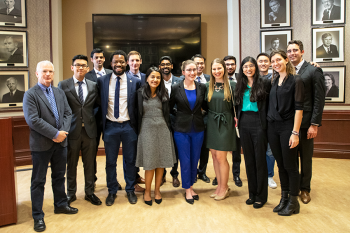 Bionym is just one of more than a dozen start-ups taking advantage of the centre’s access to resources and mentorship opportunities. A demonstration model of HeartID at Bionym’s headquarters shows how the technology works. By gripping a device resembling a computer-connected mouse with built-in sensors, the PC recognizes the authorized individual’s unique cardiac rhythm and allows them to log-in without having to enter a password. “By embedding sensors into devices, a person can be seamlessly and continuously authenticated during normal device usage,” says Agrafioti. Bionym is in the early stages of licensing HeartID to hardware manufacturers and could soon be used in video game controllers, tablet computers, cell phones and even firearms and automobiles, says Agrafioti. 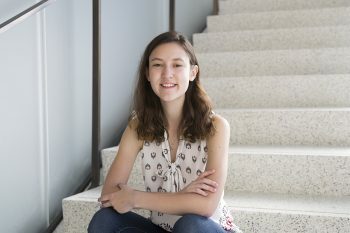 The algorithm behind HeartID evolved from Agrafioti’s doctoral research in Electrical and Computer Engineering, which she completed under the supervision of Professor Dimitrios Hatzinakos, chair of U of T Engineering’s Identity, Privacy & Security Institute, along with co-inventor Professor Francis Bui. After the team developed the technology in the lab, it was transferred to Bionym, where it was commercialized into HeartID. Along the way it was helped by the U of T’s Innovations and Partnership Office (IPO) which assists the university’s research community in building successful partnerships with industry.